I worked on the Mitchell Plateau in 1970 for AMAX Bauxite Corp for 6 months. Worked 6 days a week and on the 7th went to all the sights! 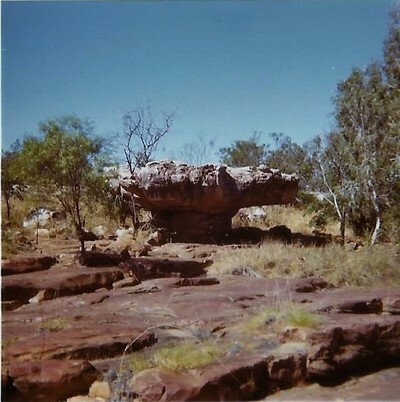 King Edward River crossing and nearby a large rock shaped like a mushroom with several rock paintings on it and onto what we thought was the road to Derby. 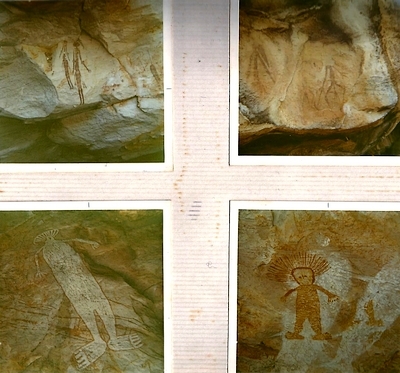 Other time down to Port Warrender for a boat ride to Malcolm Island then on further (about 15 minutes) to an area where there was large cave paintings some 6 metres long also some with the spaceman type headgear. Quite amazing. 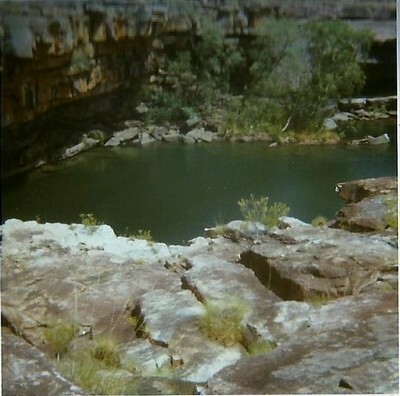 I have been looking at all the photos I can find online for the Mitchell Falls and they look different to when I went to them... like no water. One of my mates named Chris did high dive from a ledge into a pool... about 16.5 meters... spectacular. The airstrip was developed that year to enable two Fokker Friendship planes to land as junket for WA politicians. Our camp was at Camp Creek and 25 people lived in tents with a terrific kitchen. Great party the night of the first rains of the new season. These were simlpler days and some of our "activities" would definitely be frowned on today. Thanks for sharing your memories and photos, Geoff! Great to see your old pics and read of your time there. 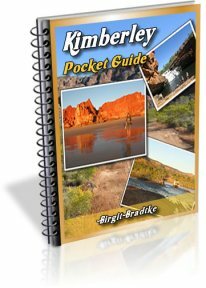 I passed through the Kimberley Region mid-1981, following along with a couple of young guys who were big on serious fosicking/mineral/mining specimens. Turned off Gibb River Rd headed up towards the 'plateau' strip you mentioned. But turned west to navigate our way through 4 foot high grass on an almost-lost track; to the disused airstrip next to the Mitchell River (due south of 'your' strip). Stayed in abandoned demountable & next day headed north to rejoin the Mitchell Plateau strip road just south of the strip. Went to Surveyor's Pool where we headed away from where the elders were leading a research team, & discovered some very interesting ancient galleries. 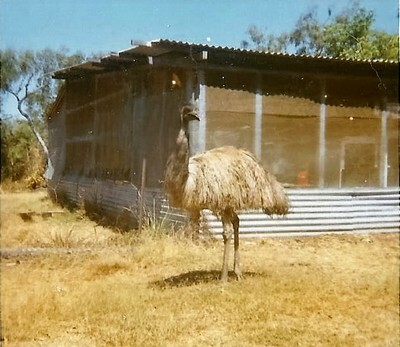 I had the privilege of living in this fabulous country on Mitchell River Station in 1972/1973. 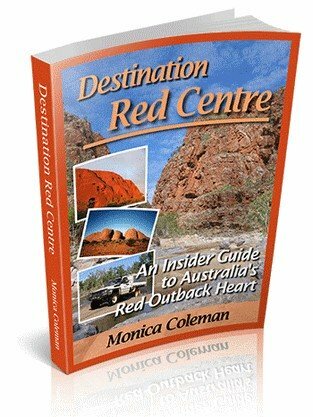 My husband Des and three young children Stuart, Andrew and Helen spent many wonderful hours exploring and discovering new areas on and around the station and on Mitchell Plateau often in the company of Joe Smith who worked for Amax Bauxite on the Plateau. My two sons are taking me back in May next year for my 75th birthday. I can imagine that it might be a bit different!!! If anyone has any knowledge of Joe Smith, Dave and Jan Tassell or Ron Johnson I would appreciate a contact number. attention Stella Simpson. Re Mitchell Station. Could you please email me so that I can send you the only photo I have of my 1981 overnight stay beside the runway. I would also like to send you a Google Earth image looking straight down, to confirm the location & where the homestaed was? Really looking forward to possibly chatting with you if that's ok. I've always remained fascinated in the place and would love to know something of its background/history, your recollections etc. My Husband Jim Ayers and friend Jim Squares worked there in 1970. Would like more info. For far too long I've been remiss in not re-contacting Stella Simpson (see previous posts on this thread). I hope to email her in the next few days. I'm sure that if still available, she would be able to have a chat with you; having lived on Mitchell Station in that era. Feel free to email/phone me as per my previous post, if I can help. I was interested to read your short note. I do recall the Jims... one was quite tall with a blonde buzzcut and the other was dark haired with a beard, a bit shorter. Both English. Several other English guys but can't remember their names. Also Irish... two Joes and a Ray. So what have the Jims been up to their lives, now that 48 years have gone by! Have a few photos of some of the times there. Do they recall Jack Zany at all, and Noel talks of Joe Smith or Botanical Joe as we nicked him. Will email you shortly. I'm particularly interested in any memories of Mitchell Station (Stella & Des Simpson) you may have. Any photos of the place etc. Still need to get back to Stella also. Her son/s were going to fly her back over the old place a couple of years ago. Also interested in the place you worked & whereabouts was the main camp/mining site? 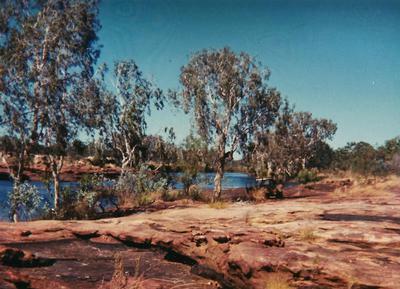 I recall mid 1981 on my way up to Darwin, we came off the Gibb River Rd. to the Mitchell Station airstrip (beside Mitchell River). Then headed further north. Somewhere before Surveyor's Pool we came through a mining camp & had to sign a book. What was that place? And just exactly whereabouts please? I sent you an email. Hope you received it. Shirley Ayer. Hi to you both. 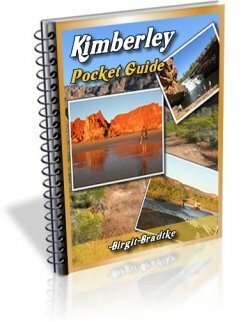 Very interested in finding out more of the time spent in the Kimberlies by the people who were part of it. I did send an email to Noel. Regards Shirley. I've searched high and low for your email but sadly can't find it. Did I reply? Join in and write your own page! It's easy to do. How? 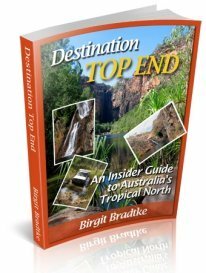 Simply click here to return to Mitchell Falls.